An evolving multi-stakeholder collaboration among bringing together different sectors of society to promote dialogue on practices, policies and programs to advance sustianable production and consumption in the region. A growing effort by members of NASCA and other stakeholder groups to develop a regional framework to improve communication, collaboration and support for sustainability initiatives in North America. One result was the 2005 statement "Producing and Consuming in North America." The North American Sustainable Consumption Alliance (NASCA) is a strategic partnership of people and organizations who are working to promote more sustainable consumption patterns in Mexico, Canada, and the United States. Our mission is to facilitate information exchange, communication and outreach and collaborative action around sustainable consumption. NARSPAC WORKSHOP: "ADVANCING SUSTAINABLE CONSUMPTION AND PRODUCTION IN NORTH AMERICA"
December 11-12, 2012. Washington, DC. This workshop was a sharing and strategy session among stakeholders engaged in advancing sustainable consumption and production (SCP), including US and Canada government representatives, civil society, academia, private sector and international organizations. This meeting was organized by the North American Roundtable on Sustainable Production and Consumption (NARSPAC) in cooperation with the United Nations Environment Programme – Regional Office for North America (UNEP RONA). It included representatives of the Global Research Forum on Sustainable Production and Consumption (GRF-SPC) from the North American region. The results of the meeting was shared at UNEP RONA’s North American Major Groups and Stakeholders consultation (12-13 December 2012). See workshop page. February 2, 2011. Ottawa, Canada. In collaboration with the 2nd North American Workshop on SCP, NARSPAC organized a multistakeholder workshop on the "green economy." The workshop explored some of the concepts currently discussed for immediate action as well as ideas for advancing the transition to a sustainable economy in the longer-term. The approach involved an in-depth dialogue through break-out groups in a small workshop setting, focusing on shared understandings and identifying practical steps forward. See workshop report. January 2010. Following up from last November's proposal to develop a multi-network regional dialog, NASCA has joined with the Citizens Network for Sustainable Development, the new Sustainable Consumption Research and Action Initiative (SCORAI), and the Canadian Environmental Network (CEN) to establish a North American Roundtable on Sustainable Production and Consumption, an ongoing partnership to provide opportunities for wider discussion about sustainable production and consumption, especially in relation to the growing debate on the "green economy." As you may know, the "green economy" is one of the two main themes agreed for the upcoming UN Earth Summit +20 summit in 2012, on the anniversary of the original Earth Summit meeting in Rio in 1992. The Roundtable will provide NASCA members and others with a valuable way to engage with other North Americans on this topic and to contribute informed views in both the national and international debate. We are thus also exploring the possibility of enabling the North American Roundtable on Sustainable Production and Consumption within the UN Partnership Fair process so we can share North America's views and ideas about consumption, production and the green economy with the rest of the international community. December 1, 2009. Geneva, Switzerland. NASCA is now coordinating with a new consortium of networks that delivered a joint statement at the 4th Regional Implementation Meeting on Sustainable Development. The statement focused on the idea of developing a regional dialogue on sustainable consumption and production in North America. Read the joint statement. November 6, 2008. Washington, DC. Several members of NASCA collaborated in producing and presenting a discussion paper for one of the sessions in the first regional workshop on sustainable consumption and production, hosted by UNEP Regional Office for North America, and the US and Canadian governments. This even is the first official regional consultation feeding into the UN Marrakech Process. The paper "Producing and consuming sustainably in North America: A regional overview of initiatives and strategies promoting sustainable consumption and production," was written by Jeffrey Barber and Karen Onthank (Integrative Strategies Forum), tania Del Matto and Linda Varangu (My Sustainable Canada) and Jack Luskin (University of Massachussetts, Lowell). Slideshow/handouts from presentation. January 18, 2008. Four years after conducting the original survey of sustainable production and consumption initiatives, NASCA members conducted a follow-up survey, supported by the North American Commission on Environmental Cooperation (CEC) to update the NASCA database and to identify changes in the last four years. The update survey was conducted by the Canadian Centre for Pollution Prevention, the University of Massachusetts at Lowell, and the Integrative Strategies Forum. The group also offered recommendations on expanding improving the database and functions. October 3, 2007. Montreal. As part of the conference "Pour un cadre general d'action en faveur de la consommation durable," organized by Fondation Claude Massey, NASCA members Jack Luskin and Jeffrey Barber presented their views on strategies for promoting sustainable consumption in the region. Summary of presentation (MSWord). March 1, 2007, Brussels, Belgium. In conjunction with the ECO Forum NGO Strategy Meeting for the Environment for Europe process, the North American statement was presented to the ECO Forum Board and distributed to participants as part of the continuing distribution of this message of solidarity from North America. February 27, 2007, Prague, Czech Republic. As part of the annual conference of the Central Eastern European Network for Sustainable Consumption, the North American statement was distributed as a message and example of North American civil society efforts to build regional cooperation in advancing sustainable production and consumption. Jan 27, 2007, Chiang Mai, Thailand. Following up on the mandate of the 2005 workshop (below) to communicate to civil society in other countries the commitment of US civil society, the statement "Producing and Consuming in North America" was presented and distributed at the conference "Linking Knowledge and Action for Sustainable Production and Consumption Systems" in Chiang Mai, Thailand. September 10, 2006, Kiev, Ukraine. In keeping with the mandate to share the statement and message of North American civil society about their commitment to sustainable production and consumption, the statement "Producing and Consuming in North America" was presented at the Annual General Meeting of the North Alliance for Sustainability in Kiev, Ukraine. September 5, 2005. On Labor Day, NASCA and other stakeholder groups released their collective statement "Producing and Consuming in North America: A Call for Action and Leadership on Sustainability," one of the results from the spring experts workshop. This statement was also made available to the International Experts Meeting on the 10 Year Framework on Sustainable Consumption and Production, being held in San Jose, Costa Rica. 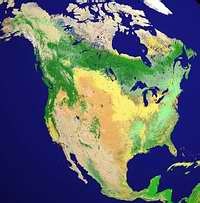 Apr/May 2005: The North American Sustainable Consumption Alliance (NASCA) and Integrative Strategies Forum hosted a regional multi-stakeholder workshop to discuss and report on what is happening in North America to promote sustainable production and consumption. One objective of the meeting was to develop a regional framework to improve cooperation and effectiveness. Another function of this meeting was to provide citizen input into the upcoming International Experts Meeting on SPAC to be held in Costa Rica in September 2005. Apr. 2004 : The Canadian Center for Pollution Prevention and the North American Sustainable Consumption Alliance (NASCA) hosted an experts workshop on "Strategic priorities for promoting sustainable consumption in North America" in Ottawa, Ontario on April 30th 2004. The meeting report is available here. Jan. 2004 : The Worldwatch Institute and North American Sustainable Consumption Alliance (NASCA) organized an experts workshop on "Strategic Priorities for Promoting Sustainable Consumption in North America" in Washington DC on January 27th 2004. The workshop aimed to advance the process of developing a concrete, constructive, and collaborative strategy for promoting sustainable consumption in North America. The participants, including both NGOs and charitable foundations, discussed possible initiatives in the fields of government initiatives, industry targeted activities, purchasing, communicating and promoting sustainable consumption. As a next step, the participants suggested building on the Sustainable Consumption database created by NASCA.